Strike Training and Consulting is a nationally registered training organisation approved to deliver Certificate II in Security Operations qualification (RTO 41500). To ensure the highest level of training Strike has employed the expertise of former enforcement, military and United Nations operatives to create and deliver this program. Students will receive detailed training from those who have regulated the security industry, managed high level security operations and participated in them. Our trainers and consultants have more than 100 years experience in Australia and abroad as background to provide you with the highest quality training. 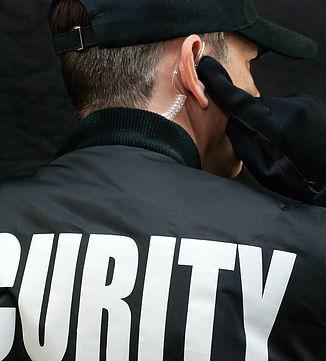 SECURITY GUARD (includes Provide First Aid) ONLY $550.00! Plus 1 day if First Aid certification is required. No additional cost. TOTAL COURSE COST IS $725.00 requiring 10 days face to face training at the Strike Training Centre and 1 additional day first aid training. Note: some students may be required to complete additional study at home. Students will be assisted should this be required. It’s a FACT. Our students pass the SAIWA test. Now more than ever it is critical you receive the best security training if you want to get your licence. At Strike Training our students receive quality training to pass the test and bring value to their employers. When you have completed your training with Strike, we have a number Western Australia’s top security firms waiting to hire you. We will continue to assist you until you find work with resumes and career guidance. Take a look at our employment page. We are offering a CPP20212 Certificate II in Security Operations Nightcourse. The course hours will be from 6.30pm to 10.30pm from Monday to Friday over a four week period. The Nightcourse fee is $895 and INCLUDES Security Guard, Crowd Control, Provide First Aid and Terrorism Awareness. Places are limited! For an extra $25 you are able to receive Responsible Service of Alcohol (RSA) (normally $35). Our courses are designed to comply with the face to face training requirements of the Western Australian Police Licensing. 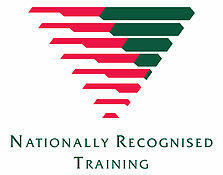 Recognised Prior Learning (RPL) is available. TERRORISM AWARENESS: In addition to the CPP20212 Certificate II in Security Operations qualification you will also receive training in terrorism awareness. This is an “unaccredited training program” created by Strike consultants to aide security officers in their duties. Please view this program in detail using the button below. There is no additional cost for this training if you are completing CPP20212 Certificate II in Security Operations. Please select the enroll button below for our nationally-recognised security guard training. Then choose a commencement date you wish to start by selecting the appropriate button. Complete the enrolment form and submit it online. One of our consultants will contact you shortly to confirm you booking. Please contact us to make further enquiries. I recently competed the Cert II in Security Operations. My trainers Gaven, Andy and Elisha, you all were awesome to work with. Your knowledge and skills made the course instructive and enjoyable. So much so, I smashed out the SAIWA test in less than 20 minutes. Thanks. An RTO like no other. This place is run on a tight schedule that keeps you in check, and really pushes you to succeed. While being militant about timing, they are also incredibly understanding, flexible and adaptable to any issues that come up. Best education form I’ve ever had, with better support than both UWA and ECU. The content of the course is fantastic, in depth, and has a strong focus on how operators should perform, rather than how they currently do. If you have ever had a negative experience with a security guard, you know how rough it can be. 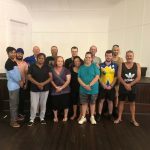 Get your cert II through Andy and Gaven, and you will be trained by 140 years experience in the police and military, and be qualified in a way no other RTO can offer. The banter in the office is insane! Much love to Daphne and Nigel for the constant distraction, fear, and fun! I would like to thank you for the top quality teaching that was provided and the dedication plus leadership showed throughout my Certificate II in Security Operations. There was NEVER a dull moment during the course. I will be more than happy to recommend STRIKE TRAINING to any friends thinking of working in the Security Industry… and if I do decide to do my Certificate III in the not too distant future, it would most definitely be with you guys again. One of the most professional training and consulting teams I have seen for a long time. The trainers here want you learn and do the best they can to make sure you are in the top 10% of security officers around. Highly recommended courses. The trainers have a vast amount of experience with the knowledge and professionalism to back it up, make this your only place for training and you will succeed in this industry.